In need of a reliable, ethical and professional Estevan Mortgage Company? Well, your search is most certainly over. Focus Mortgage Solutions is the leading Estevan mortgage company in Saskatchewan. 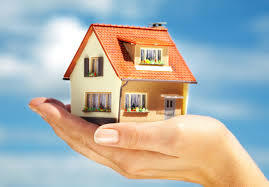 We marry years of experience in the home loan industry with an uplifting and ethical approach to finance. Focus Estevan Mortgage Company prides itself on maintaining an exceptionally professional disposition while managing to keep all business dealings stress-free and easy-breezy. FOCUS Mortgage Brokerage Company serves Estevan, SK. We find creative financing solutions when handling your lending and mortgage transactions. It has been our experience that our clients return to us with future brokerage dealings because we make a rather unpleasant experience run smoothly and efficiently. Our gift is in our light-hearted hassle-free approach to home financing. Focus continues to be the leading Estevan Mortgage Company because we have committed ourselves to delivering clients premium brokerage services no matter the circumstances. Our services are affordable, private, ethical and always professional. -- AND FUN! Focus Mortgage Solutions is the best Estevan Mortgage Company in Saskatchewan. Just ask our clients, they will vouch for our impeccable reputation to finding creative mortgage solutions to suit just about any situation. We are known for having a good sense of humor and being easy to work with as well. Let's be honest, how disheartening is it to finally have enough saved up to put a down payment on your dream home, and then the wind is quickly taken out of your sails when you see the inflated insurance rates you're facing? Well our exceptionally savvy Estevan Mortgage Broker Professionals are hip to your mortgage goals. Focus Mortgage Solutions is prepared to overcome, with you, the many hurdles that are encountered while attempting to get a fair loan and interest rate. Let's throw out some hypothetical scenarios for the sake of an easily understood explanation. Let's say you buy a house for $100,000.00 and you have $5,000.00 for a down payment. That would put you in the 3.15% Mortgage Insurance Premium box. Fun fact 1 - Energy Efficient Homes snag you savings. You can get up to 10% of your Mortgage Insurance Premium back in your pocket if your home qualifies!! Fun fact 2 - Our Mortgage Calculator already takes in to account your potential Mortgage Insurance Premium! Hurry - go check it out. We're pretty proud of it! Don't worry though...you are not out of luck. You can still get a mortgage...the process is a bit hairy, but it can be done! Focus can show you the way. Basically what we do for you is we "state" a reasonable annual income for your particular industry. Take for example an Owner/Operator Truck Driver. This individual accumulates a ton of expenses. Everything from Fuel to Food. At the end of the day, this person's income could go from $125,000.00/year in earnings down to $41,000.00 after expenses. And that $41,000.00 is what ends up being declared on Line 150 for Income Tax. This person's true income is $125,000.00/year and it's reasonable so we can "state" this income...or something close to it. We might only need to state $80,000.00. A Credit Score of NO LESS than 650 on Equifax. Industry experience of NO LESS than 2 Years. So if you own your own welding company...we want to see you have 2 years of self employment in this industry or at minimum 6 months Self Employed History with the 2 years of industry experience from your previous employer. It's not a "cut and dry" product - and lenders love to request a lot of documentation. Be prepared to provide 2 Years of Most Recent Income Tax, including the T1 General and the Notice of Assessment (NOA) and proof of No Income Tax Owing. If you do owe Income Tax...it MUST be paid in full prior to receiving your new mortgage. The even better news is that you can still enjoy the low interest rates as everyone else! We don't penalize you with a higher rate. Sound reasonable? If so Click HERE to "Apply Now" and get started making your dreams a reality! Creating a trusting relationship with our clients is very important to us at Focus Mortgage Solutions. We still believe in the integrity of a hand shake. We'd never replace that with a generic mailer or impersonal automated emails. As the leading Estevan Mortgage Company we have successfully grown our business because of our dedication to exceptional customer relations and ethical business dealings. Contact one of our knowledgeable staff members to hear a list of pros and cons, have a laugh and get busy finding solutions the FOCUS way! We lift the lending roadblocks and pave the way to the future you actually dreamed of and deserve.